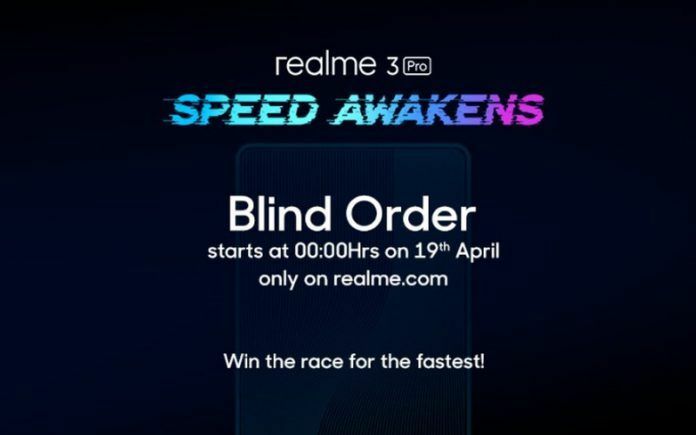 Realme has announced that it will be holding a blind order sale on 19th April for the Realme 3 Pro. As many of you may be aware, the Realme 3 Pro is set to be launched in India at an event in Delhi University on April 22. The blind order sale will give Indian Realme fans an opportunity to purchase the Realme 3 Pro as soon as it launches in the country. A blind order, as you may have guessed already, is a purchase made without knowing the complete specifications of the product. Needless to say, only the most ardent fans of the brand will be brave enough to participate in the blind order sale. The sale will be held on realme.com from 00:00 AM till 23:59 PM on April 19. 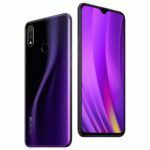 If you are a Realme fan and wish to be among the first to own the Realme 3 Pro, you will need to head over to this link as soon as the sale starts and login using your Realme ID. Next, register for the Realme 3 Pro blind order by tapping on the register now button. Once you have successfully registered, you will receive a message notifying the same. You will then receive an R-Pass for the Realme 3 Pro in your Realme account. 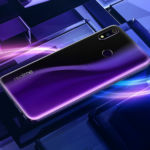 The same R-Pass can be used to place an order for a Realme 3 Pro on the first sale day. Realme will reveal the first sale date after the launch event on April 22. However, do note that limited quantities will be available for the blind sale and Realme will follow first come first serve policy. Only five thousand core fans will get an R-Pass. 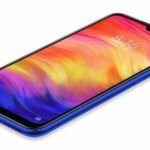 Even though the complete hardware specs of the Realme 3 Pro have not surfaced online yet, Realme has released multiple teasers highlighting some of the key features. The Realme 3 Pro’s main selling point is expected to be class-leading performance, made possible by a Snapdragon 710 octa-core processor. 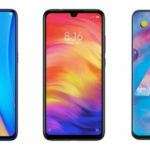 Realme 3 Pro will be the first smartphone in the budget segment to offer native support for Fortnite. 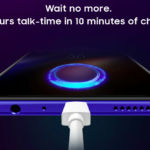 The company’s official teasers have also confirmed a few other features such as fast charging support, Speed Shot burst mode, HyperBoost to enhance gaming performance, and a super slo-mo video mode. Just a few days back, Realme 3 Pro was certified by the Bluetooth Special Interest Group (SIG). The Bluetooth certificate revealed some of the smartphone’s hardware specifications. According to the listing, Realme 3 Pro will have a 6.3-inch Full HD+ resolution display, 3960mAh battery, dual-band Wi-Fi, ColorOS 6.0, and a fingerprint sensor.